Agri-environment measures are a key element for the integration of environmental concerns into the Common Agricultural Policy. They are designed to encourage farmers to protect and enhance the environment. These measures also play a crucial role in meeting society’s demands for environmental outcomes provided by agriculture. Hopetoun Estate has committed to a number of agri-environmental measures including grass margins, arable reversion, meadow establishment and unharvested crops to encourage and promote conservation and bio-diversity across the estate. 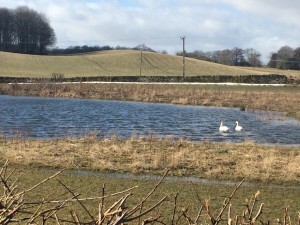 It has been great to see swans taking up residence on a recently established pond in the policy grounds adjacent to the Fallow Deer Park at Hopetoun. 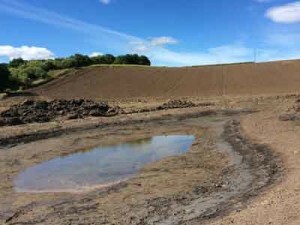 This pond along with a further 35 have been dug as part of our agri-environment plan.